Your resume is something that can make or break you when it comes to securing that all important job interview. This is why it’s very important you know how to write an effective resume. You’re not going to impress anyone with a simple sheet of paper with a few words or references written on it. How you will impress someone is with a resume that highlights your skills, matches the job requirements, shows that the company NEEDS to hire you, you are an asset to their business and that you have an impressive and detailed work history that outlines all your skills. The first thing you need to ask yourself is – what can I offer this company, what skills or experience do I have? Once you have the answers write them down, this way you’ll remember everything, it can be hard to try and remember everything off the top of your head. Next, ask yourself what is it the company is looking for, what type of person or skills and experience are they looking for? What is it you can offer the company? Do you have any particular skills or experience they are looking for? You will need to evaluate the skills you have and see if they match what the position requires. Now that you have all this information written down it’s time to consider putting your resume together. Start with your *Objectives* section and state what it is you want to or hope to accomplish by working for this company. Next is all your employment history, most recent at the top down through your employment history. Always make sure you outline your experience and skills perfectly, the smallest of skills might actually be what the company is looking for. Next list any other experience you have – such as volunteer work or even school work experience. This is also the section to list any licences or qualifications you have, list them all as you never know what qualifications you have that might be still relevant to the job you are applying for. You never know what will impress a potential employer, so be sure to list everything. Finally you have your reference section. While some people prefer to state that they will provide references if required some prefer to go ahead and list their references regardless. There is no hard and fast *rule* so this is left entirely up to you. Remember it is important that you DON’T skimp on your resume, while some might say you only need a page long resume, for some people it’s impossible to do that. You need to showcase your skills and qualifications but it can be hard to condense everything into one page. 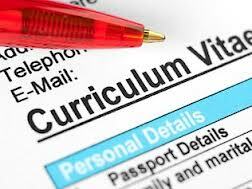 Finally make sure you use good quality paper, go to your local office supply store and invest in some good quality resume paper, this will cap your resume off with the right look and feel. Presenting your resume in a professional manner and on professional paper will help increase the chances of your resume getting a second look and may result in achieving you an interview.